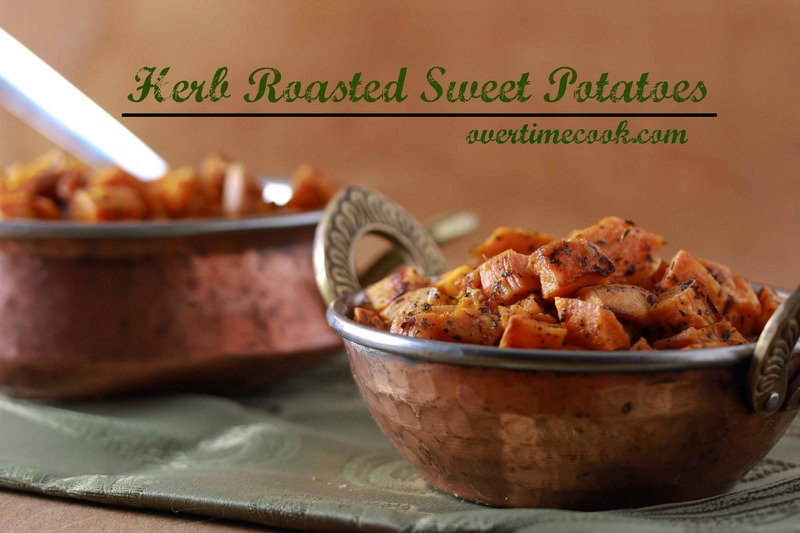 Herb Roasted Sweet Potatoes are an easy, delicious and family-friendly side dish. If there was ever a time that I was going to post an almost non existent recipe, it’s today. I finally wrapped up the first of two Purim features I’m doing for my magazine job, and I’m as closed to burnt out as it gets. It’s pretty weird, because the recipes I’m featuring are some of the most creative I’ve ever done. And then the packaging ideas are another important aspect of the article, and they kinda have to be really creative too. Couple that with doing photo shoots for all of them and basically my creativity (and energy!) tanks are on empty. Anyway, the point of all this is how tired I am. And uninspired. And how I feel like I’ve got a perfectly good excuse for posting one of my simplest recipes yet, with basically no story or introduction of any sort. But lets be real, shall we? All of you lovely folks are busy. Whether its work, family, or anything else, and I know I don’t have the monopoly on being over stressed. (Although at times I wish I did. It would make for some great kvetching.) And if I found a super simple recipe like this one useful at a time like this, I’m sure all of you will too. Am I right? Oh, and don’t let the simplicity fool you. These fabulous potatoes have got just the right amount of flavor and texture to bump these beauties up to the top of my favorites list! Combine all ingredients in a bowl. Toss to coat everything evenly. Spread in a single layer on prepared cookie sheet. Place in oven. Bake at 450 for 30 minutes, turning every 10 minutes. Remove from oven and serve hot. these look delicious, the perfect easy side dish! I love the props, are they new? Do yours get a little roasted once finished? I always find after roasting in the oven, my sweet potatoes come out a little soggy – is that just their texture or am I doing something wrong? These look absolutely delicious!! Sweet potatoes tend to get a bit soggy if overcooked. I roast root vegetables (yukon, sweet and carrots) like this with some olive oil, italian seasoning and generous amount of garlic powder and they come out great everytime. I find one tip to keep them from getting too soft is leave the skin on when you cut them up and undercook them about 5 mins. I just fill up a baking pan with the vegs, toss them with extra virgin olive oil and seasonings and roast them for about 35-40 mins. Flip them halfway thru and test the firmness…oven time varies. When I pull them out I sprinkle a little sea salt on top and serve. Simple and delicious side for any meat dinner. Wow. I love the picture. They sound great. 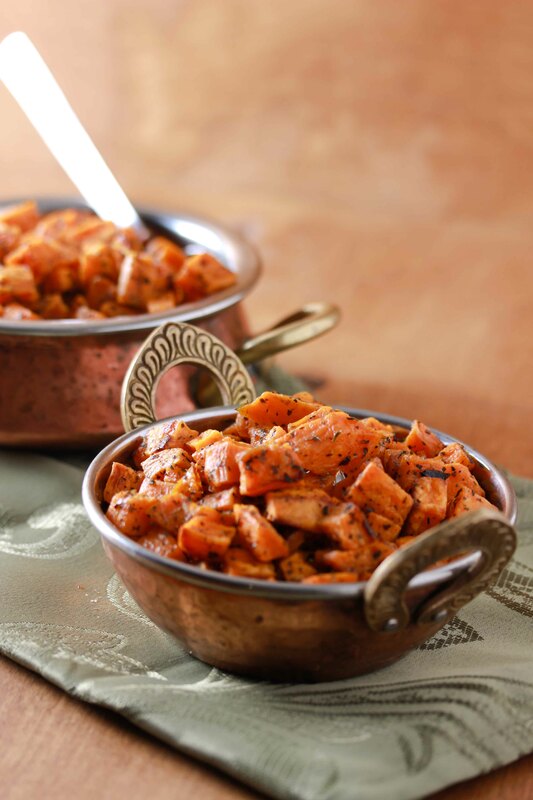 Sweet Sweet potatoes a good source of fibre,beta-carotene,manganese and rich in Vitamin C and E. It’s also known to carry high amounts of Vitamin B6 and is good for the heart. 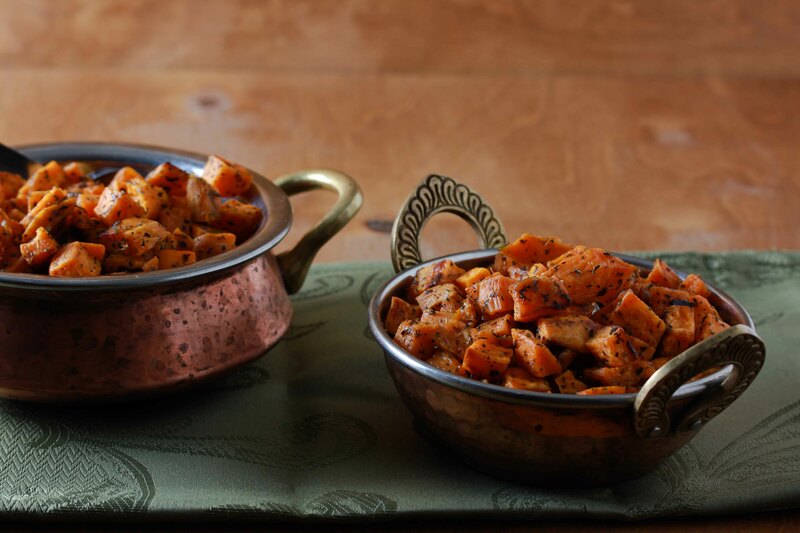 I’m always looking for new ways to make my beloved sweet potatoes. These look great – thanks for sharing! Your pictures are getting better and better. I say she needs more slideshow pictures. I love sweet popatos & could eat it almost every day!! I see you posting many recipes that i love or would like to try. Thanks for sharing!! beautiful props! where’d you get em? I LOVE UR EASY VEGETABLE RECIPES! ALTHOUGH I LOVE TO COOK ,WHEN I COME HOME FROM WORK I’M NOT IN THE MOOD OF MAKING A WHOLE COMPLICATED RECIPE, I ALREADY MADE UR HONEY GLAZED PEAS DIJON BROCCOLI AND SPICED ZUCCHINI AND THEY ALL CAME OUT GREAT! THANK U! Thank you for sharing your faith through food. Easy recipes are priceless to a busy mom, I love it! I also love your pictures, gorgeous as usual. Can’t wait to see your Purim articles! We eat sweet potatoes all the time here but I am usually just making them the same. Either that or I am just lazy and a little oil and salt is not just good its good enough. ha ha. I will have to try this for a change. It sounds and looks so good. I love the copper pots you used too, they are really pretty. These are soooo delicious! My husband, our four boys and I gobbled them up! Making these again tonight! Thank you!